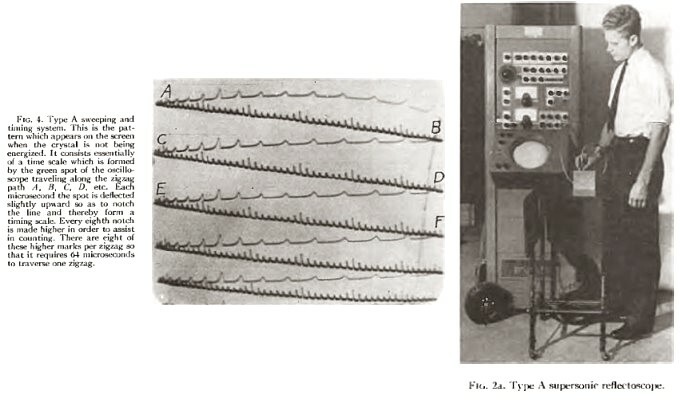 Floyd Firestone with the original Supersonic Reflectoscope Type A in 1945. This was made by Sperry Products Inc. Hoboken, New Jersey. 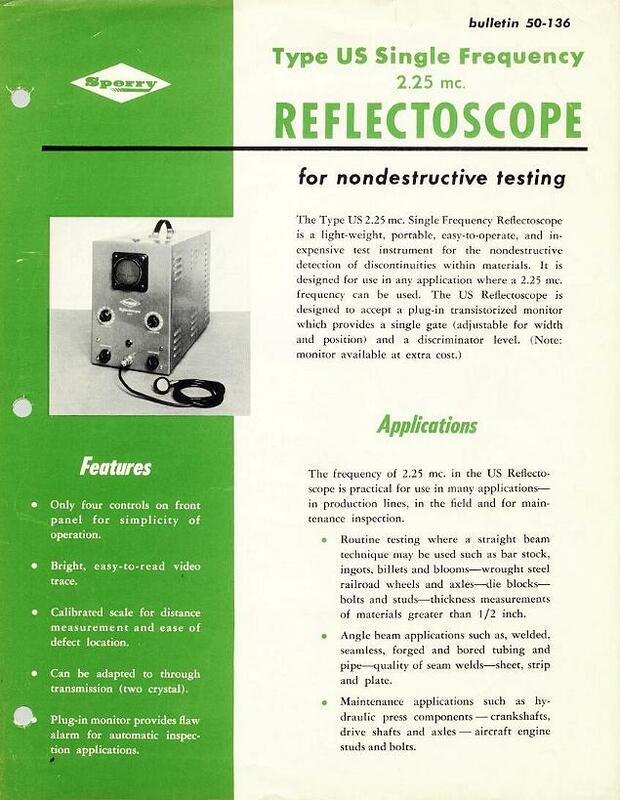 From his publication " The Supersonic Reflectoscope, an Instrument for Inspecting the Interior of Solid Parts by Means of Sound Waves" in The Journal of the Acoustical Society of America -- January 1946. 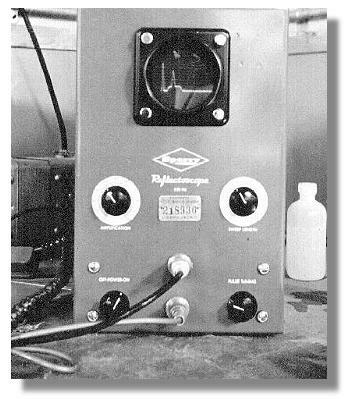 This was manufactured by Sperry at Danbury, Connecticut. 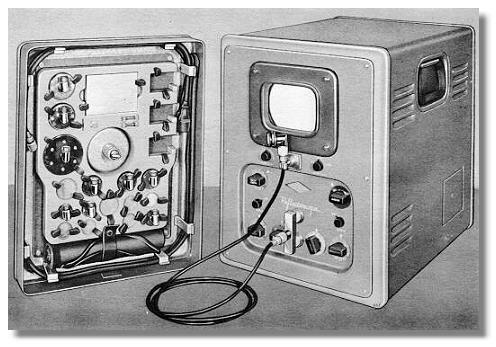 A later model of the Sperry Reflectoscope, circa.1958. 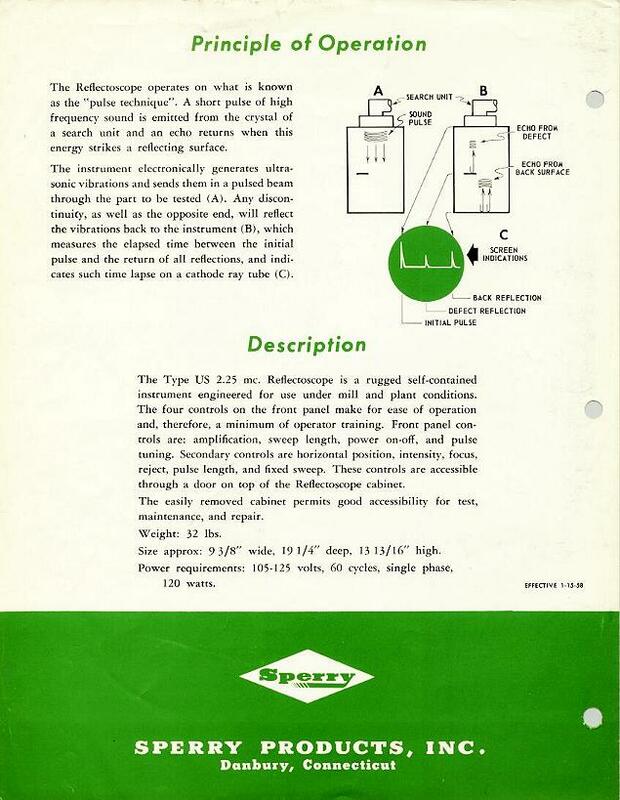 A page from an early Sperry bulletin/datasheet. Page 2 from the same bulletin. Images courtesy of UXR, Simi Valley, California, U.S.A.